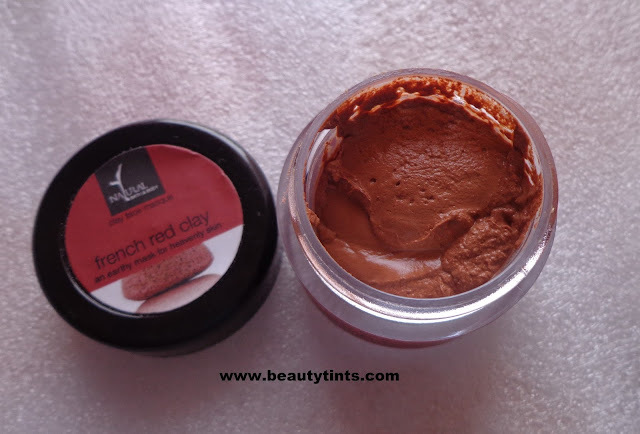 Sriz Beauty Blog: Natural Bath & Body French Red Clay Masque Review - Sample Series!!! 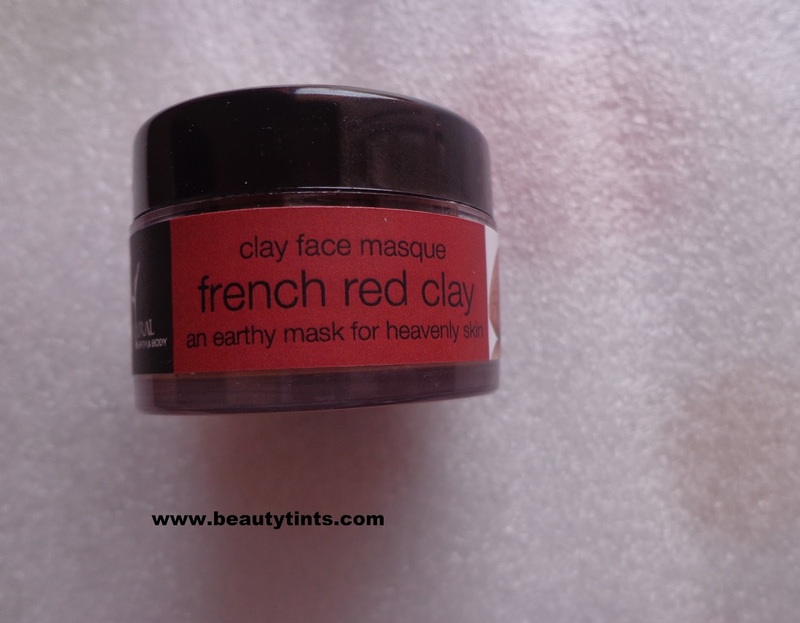 Natural Bath & Body French Red Clay Masque Review - Sample Series!!! 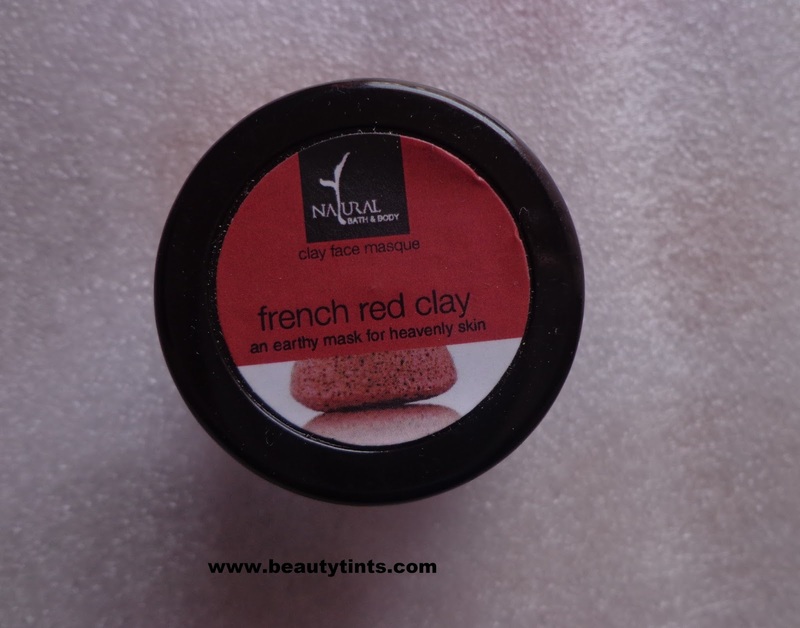 Today I am reviewing Natural Bath & Body French Red Clay Masque,which I received last month in 'O my Bag' as well as in June 'MSM Box'. 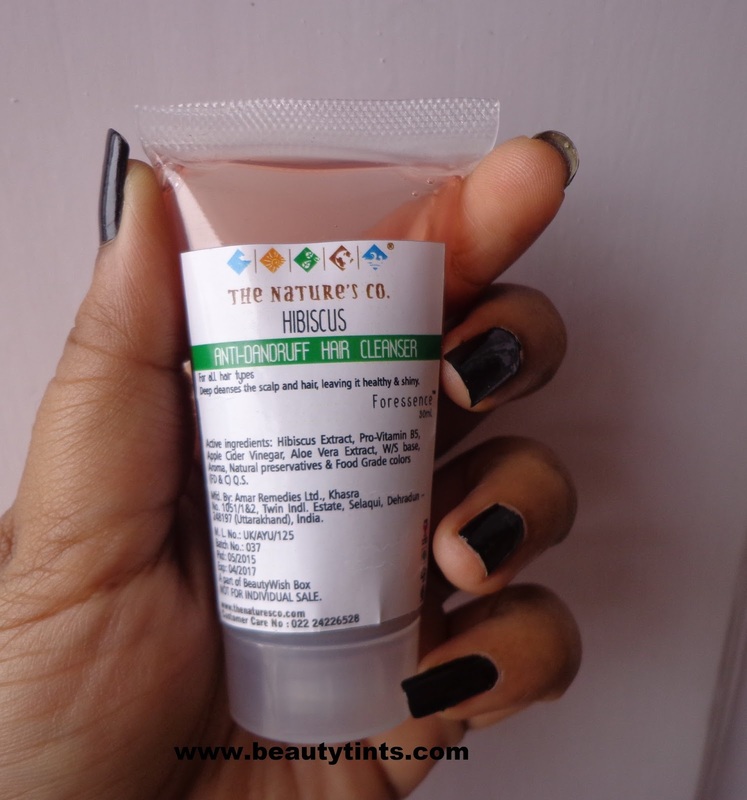 Price & Quantity : INR 450/- for 100 ml (full size). 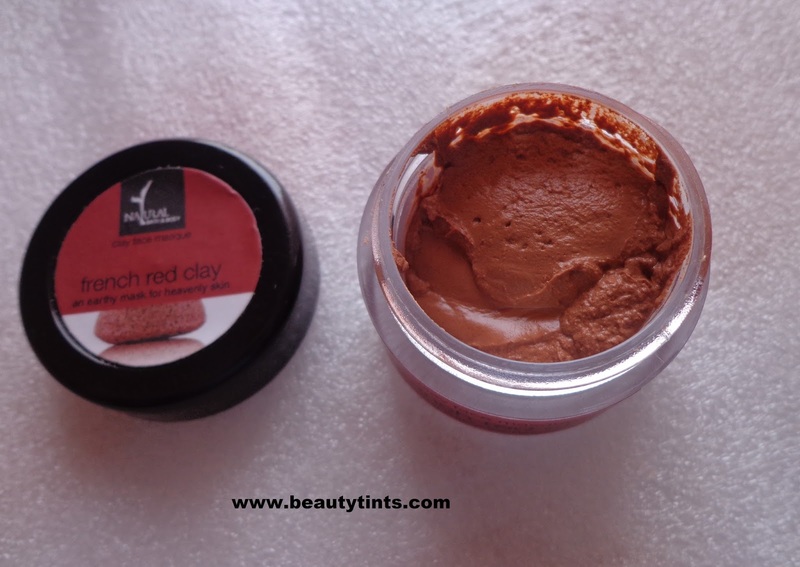 What the product Claims : Like the special clay masks that were a favourite with the Egyptian goddess Cleopatra, our French Red Clay mask never fails to soften your skin, preserve its complexion and impart a natural glow. It is a gentle paste of French Red Clay, which is an absolute powerhouse of iron and other minerals! Best suited for normal to oily skin types, it cleanses, detoxifies and exfoliates the skin, leaving it highly refreshed and toned. The clay is blended with Rose oil, virgin Coconut oil and the balancing Cedar wood essential oils. As the oils further nourish the skin, Turmeric powder and Sandalwood give it a distinctive radiance. Ingredients : Purified Water, Kaolin, Fullers Earth,Propanediol, Organic Vegatable Glycerine, Isopropyl Myristate, Virgin Coconut Oil, Cetostearyl Alcohol, Talcum Powder, Gum Acacia, Heptyl Undecylenate, Zinc Oxide, Red Clay, Glyceryl Caprylate & Glyceryl Undecylenate, Sodium Benzoate, Potassium Sorbate,Gramflour, Turmeric Powder, White Sandalwood Extract, Titanium Dioxide, Carrot Seed Oil, Beet root Powder, Sodium Gluconate.Rose oil,Cedarwood Oil. 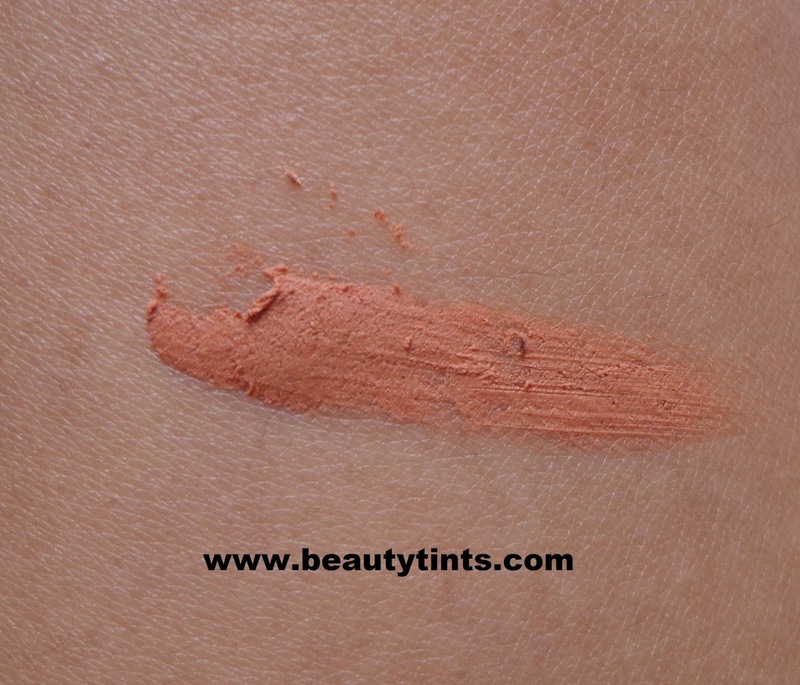 My View On the Product : I received 2 X 15 ml samples which lasted for 5 uses each.This is basically a clay based face pack,which has an amazing floral fragrance,which I absolutely love.This is a semi-thick pack,which spreads on to the face with little effort.As it is a clay based one,it dries off quickly and gets rinsed off easily,with out leaving the residues behind.We can mix rose water or cucumber juice to it to make it thin.I tried using it with cucumber juice and it worked much better with it.It nourishes the skin from with in and gives a nice glow to the skin with out drying out.It is very gentle on the skin and doesn't irritate acne or pimples .It also tones the skin well.It suits oily-combination skin well as it removes the oil,dirt and grime from the skin gently yet effectively with out stripping off the moisture from the skin. It is enriched with the goodness of organic ingredients like virgin coconut oil,turmeric powder,sandalwood extract,beetroot powder etc., along with Kaolin and fuller's earth. Conclusion : Overall, a good clay based organic face masque with good cleansing and nourishing properties.Those with oily-combination skin should try this for sure!! !